Photos. This is a presentation of the photos in your device based on date and location. Shared. If you have iCloud sharing turned on, you can store, backup, and share photos in the cloud, including having a PhotoStream for easy sharing between devices. Albums. These are collections of photos organized by galleries of your choosing, rather than organized by date or location. It’s best to move photos and images off your device onto your desktop computer for permanent storage and backing up. You can also use your desktop device to organize the pictures you’d like to keep on your mobile device. Keeping lots of photos in the camera roll for sharing later is complicated because the camera roll doesn’t allow for creating and organizing sub-folders. Image Capture. Use Image Capture to copy your photos to your local drive. After copying, double-check to make sure they all copied properly. If they are really important, you could back them up as well. Then, using Image Capture, choose Select All and Delete them. This is easier than trying to delete photos in your iOS device. iPhoto. Usually people connect their iOS device and go directly to iPhoto. However, this isn’t a good idea because the folder structure in iPhoto makes it difficult to easily copy, backup, transfer, or work with other programs. So, you’ll want to keep your original images organized in folders on your hard drive before copying them into any image editing program. If you have pictures you’d like to keep on your iOS device, the best way to do that is to use iPhoto and make Photo Albums. Import the photos you’d like to work with into iPhoto. Then make albums. 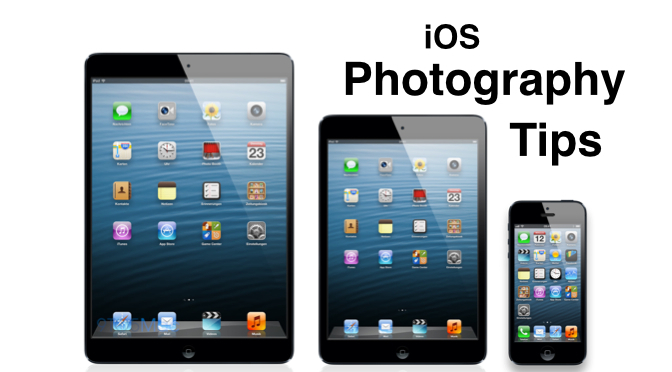 If you’re using iCloud with iPhoto, you could make some photo galleries in iCloud that will show up on your different devices. Otherwise, exit iPhoto and continue to the next step. iTunes. To get selected photo galleries / albums into your iOS device, you’ll need to use iTunes and synchronize the device. When synchronizing, you can choose what songs, movies, photos, and other content you’d like put on your device. Choose the photo galleries you created in iPhoto (step #2) above.